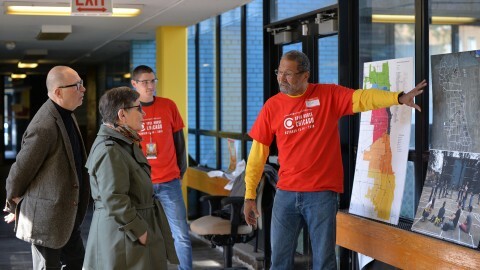 Our volunteers are the heart of the Chicago Architecture Center. 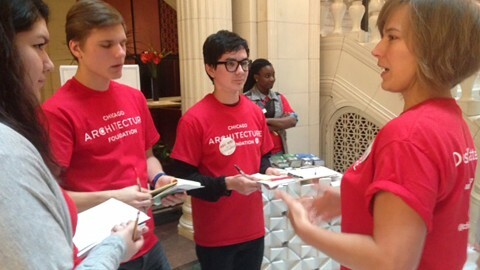 In so many ways, volunteers serve as the public face of the Chicago Architecture Center. It’s their commitment to excellence that enables us to carry out our mission of inspiring people to discover why design matters. 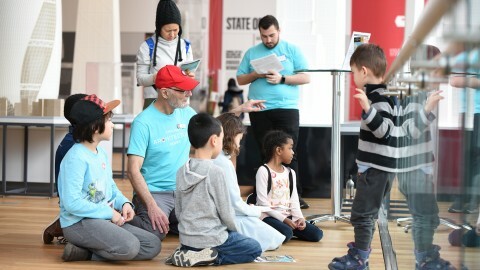 The CAC volunteer community is made up of more than 1,500 passionate docents, education guides, exhibit hosts, guest services and Open House Chicago volunteers dedicated to creating extraordinary experiences for our visitors. In return for their valued service, volunteers receive exciting benefits, including gift shop discounts and opportunities for continuing education. 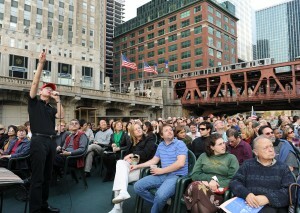 Are you passionate about Chicago’s architecture and history? Would you enjoy engaging with local, national and international visitors? We have a volunteer opportunity tailor-made for you. CAC docents are educators, ambassadors and entertainers who develop and conduct public and private tours. 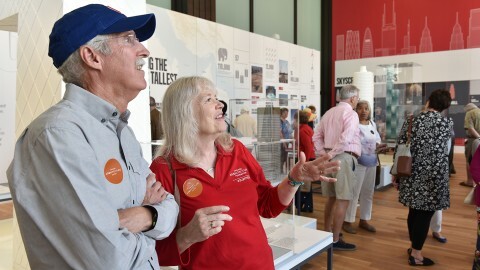 Exhibit hosts serve as interpreters for the Chicago Architecture Center's exhibits. CAC education guides lead interactive experiences for students that focus on architecture and design, including field trips. The CAC's guest services volunteers serve as a welcoming presence to the CAC Tour and Gift Shop and assist guests as they begin tours. Open House Chicago volunteers greet guests, track attendance and ensure that each OHC site is inviting and fun.